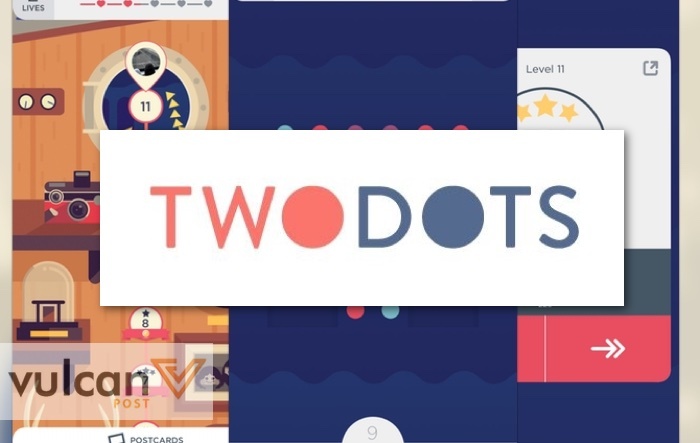 Two Dots — available on the App Store and Google Play — is probably one of the most popular puzzle games there is (barring the unbeatable Candy Crush). 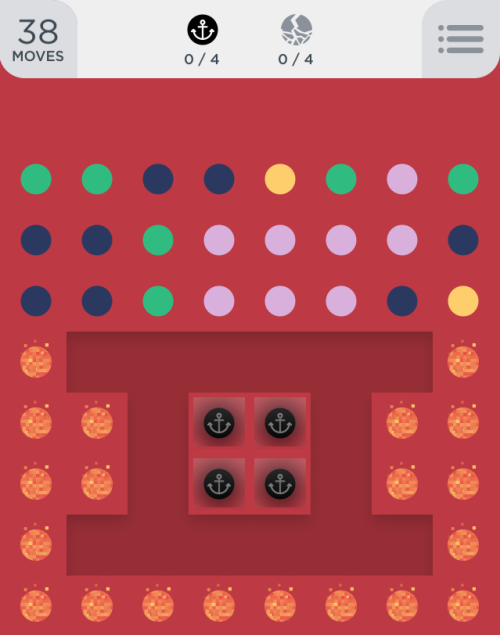 The sequel to Dots, the game’s objective is to meet level-specific quotas by clearing multi-coloured dots off a board; a goal that is harder than it seems. With various stages of gruelling mind-busters, it’s bound to burn hours of your day, and is quite honestly the perfect game for travelling. Here are some pro tips for surviving — and maybe acing — Two Dots. This is the first point because it’s the golden rule. You might have come across many connect-the-dots or connect-three games in the past, but this isn’t like those games. The aim of Two Dots may seem to be about clearing the board, but it’s not. It’s about getting as many squares as possible. What makes the squares — technically four dots connected in a square formation — so powerful is that when connected, they will clear all dots of the same colour. This will help you meet your colour quota, and possibly spark off a chain of square formations that you can get rid of. While you may occasionally see long chains of dots that you can eliminate, and even get feedback from the game music that such chains of colours are a great thing, they often aren’t. These long chains will seem to help you reach your colour goals, but in fact keep you from the actual way of winning — squares. That’s why your strategy needs to be adjusted to seek out — and eliminate — squares. The almost-square formations are great opportunities to form squares, so training your eyes to spot these formations will help your game immensely. The most common near-square formations include the hamburger and the chair — both a single move away from becoming a square. If you’re really stuck in the game, you might want to consider making a bomb. To do so, make a square around a different coloured dot. This will turn that dot into a bomb that will clear and collect the dots around that. This is great for collecting a few dots, and resetting the board to make new moves when you’re almost running out. The one thing that keeps you from playing Two Dots for hours and hours is that you’re given only five lives. The moment you run out of moves and aren’t able to complete a level, you lose a life. If you restart a level, you lose a life. If you quit a level half-way through, you will also lose a life. Each life takes 20 minutes to regenerate, and you honestly don’t have time for that. 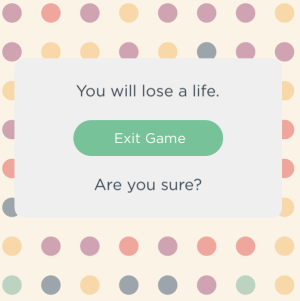 But there is a way to cheat the system to make sure that you have unlimited restart options without losing a single life — and that is by quitting the game even before you’ve made a single move. 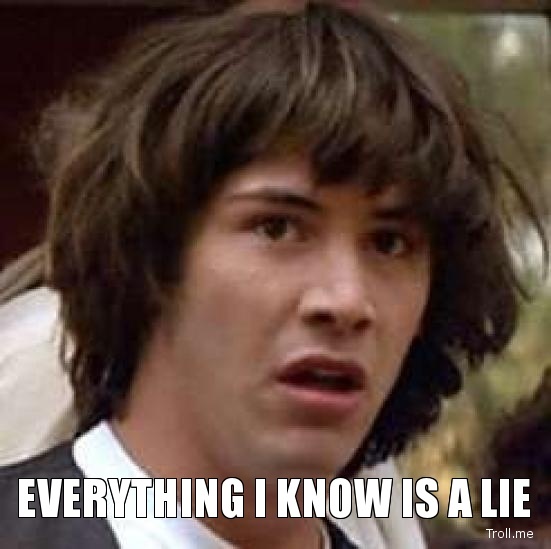 The moment you’re presented with a level, and you don’t see a square or any viable moves, just go to settings and exit to map. You can then re-enter the level without losing a single life. Don’t try to completely turn the game off by closing the app — I tried, it doesn’t work. The only time this won’t work is in the earlier stages, when some levels have a set pattern to meet. As you progress, the levels will become completely randomised, making it possible for you to get a lucky break — or in this case, make your own luck. As a rule of thumb, try to restart the level this way before you actually begin to play the level. The first move sets the tone to the whole game — make it count. Squares are the ultimate goal, but as you progress, you will face new obstacles. You will be presented with special dots designed to get in your way and make your life much harder. Anchors: Black dots with an anchor symbol on them, which can only be removed from the board by dropping them at the bottom of the page. Levels with anchors come with an anchor quota to clear, so you may have to set aside your square dreams for this one. Pro Tip: Make sure that there are no single coloured dots below the anchors. They’re impossible to clear and will determine whether or not you make the anchor quota. Ice Blocks: These are dots encased in ice, and can only be removed when the dots within them have been cleared three times. Squares and bombs are the most effective at removing them, so make sure you start these levels with a strong square advantage. Monsters: Little dots that legitimately look like evil creatures that will eat away at other dots if you don’t connect them to their respective colours. They’re like double-edged swords: they can clear useless dots, but are impossible to control. 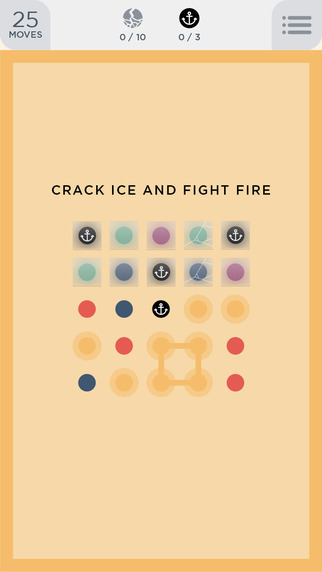 Some levels, regardless of whether they have ice blocks or anchors, may be arranged so that dots don’t fall vertically down, but diagonally — this may screw with the way you’ve understood the game completely. With the game counting every move you make, it’s obvious that each step is crucial. A wrong one could cost you a few extra moves to fix your problem, and either rob you of a three star game or end your run completely. So take advantage of the fact that there aren’t any timers calculating the amount of time you’re spending on each level, and take your own sweet time. For more accuracy and to prevent making stupid mistakes, play on an iPad or with a stylus, and try to avoid playing with your (fat) thumb, which only obstructs your view of the dots. The one occasion when time will not be in your favour is when they introduce fire, which can only be put out if you clear the dots next to it. Left unattended, they will spread to consume other dots. However, don’t panic, and keep an eye out for squares, or you may be left with a terrible board once the fire’s been put out. As with any connect-the-dots game that came before Two Dots, the age-old rule to playing the game effectively is to always play from the bottom of the page. This will not only have the biggest impact on reshuffling dots, but also make the game move faster, leaving more room for fresh dots and possible combos to come into the game. Two Dots has in-game purchases, which come in several forms to up your game. They will gift you with these power-ups through the game and as a daily gift for returning to the app (congratulations). With time and perseverance, you can store many of these power ups without paying a single cent, which I would recommend for the more thrifty among us. 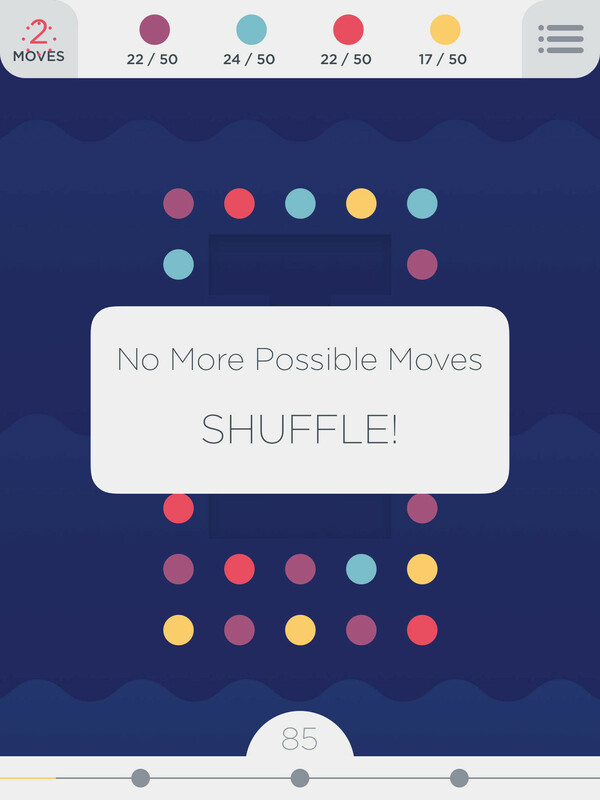 Shufflers are exactly what you think they are: utilising one will cause all the dots on the board to reshuffle, possibly creating new moves for you. The success of shufflers are based on luck, but they are also one of the cheapest in-game purchases around. Be warned: fire and ice blocks don’t get shuffled, so don’t bother trying. These booster boxes come with several abilities, but which ability gets employed depends, again, on your luck. That said, most of them are great: you might be able to change all the dots on the board to a single colour, or plant dynamites, which will clear one colour off the board. As you play, there’ll be times when you just have that one annoying extra dot that stands in the way of you getting a square. That’s when an eraser will come in handy — just select it and tap the dot you want to disappear. They are one of the most useful, but also the most expensive, so use them sparingly. If you find that you have no opportunities to make squares or are stuck, and the idea of actually paying for in-app purchases is just blasphemy, then you can sacrifice a few moves to force a shuffle. The board will automatically shuffle once there are no moves available, which may save you a shuffle power-up and possibly create new combos. The most annoying part of Two Dots is exactly what makes it so addictive: harder levels are almost always based on luck. So don’t lose heart, take a break, and just keep trying. It’s more a game of perseverance than skill, and at the end of all the levels, you will be rewarded for your patience. If clearing all levels of a mobile game is considered a reward, that is.